The first day of this meet was dedicated to the unveiling of the 2018 collection from Serengeti Eyewear, the pioneer of world’s most advanced driving sunglasses powered with three industry-defining technologies such as quick-adjusting photochromic technology, naturally colour enhancing Spectral Control filters and glare-reducing polarization technology, covering an unparalleled range of prescription power from +6.00 to -8.00 (Cly+4.00), available in choice of advanced lens materials like Ultra Light Mineral lens and Polar PhD 2.0 Trivex Lens. 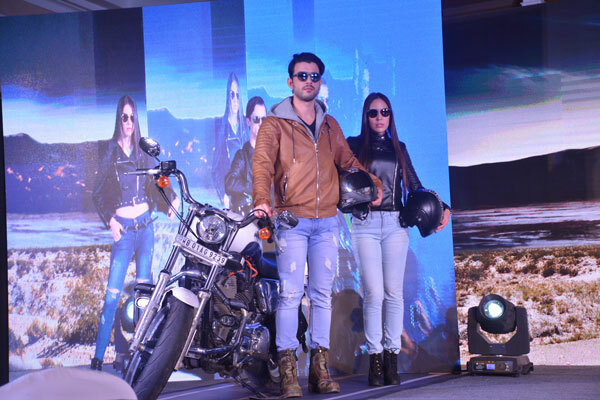 Around 37 new models in sleek frame designs were showcased with a live fashion show with models sporting the latest collection which included dedicated series designed not only for driving enthusiasts, but also for business travelers, sports, and for lifestyle purpose. With the launch of this new collection, now 90 SKUs from Serengeti Eyewear are now available to the customers, out of which 88 SKUs could meet Rx requirements. The fashion show was organised so as to give all the patrons of Vision Rx Lab a clear perspective of the design and utility of the sunglasses. 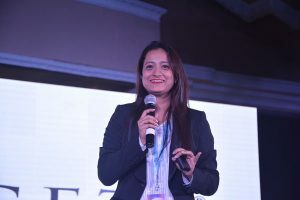 The enthralling ramp show was followed with presentations from Ms. SomwritaSen, Business Development Manager for Bushnell products which includes Serengeti, who took the audience through product details, including customization options and support given by Vision Rx Lab in terms of RX programme and services. Also joining on the podium was Mr. Alban Joire, Export Manager- Adventure Sports, AMEA, Bushnell, the parent company of Serengeti &Bolle. Mr. Joire gave the audience an overview of Serengeti Eyewear’s partnership with Vision Rx Lab and introduced Bolle – The Rx able sports collection from Bushnell. He took them through the brands and how they are positioned in India and Internationally. Post presentation, the customers were given an exclusive access to view the new collection from Serengeti at the product demonstration booths. 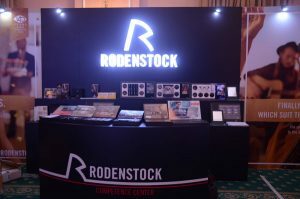 On the second day of VRX Connect, the focus brand was Rodenstock, the premium lens brand from Germany which launched the luxury Platinum line at this special meet. 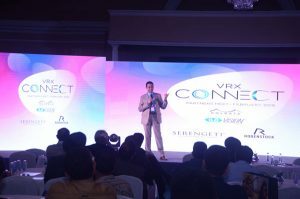 The programme commenced with an opening speech from Mr. Gupta, wherein he narrated the long association of VRX Lab & Rodenstock, “The journey of VRX with Rodenstock started in the year 2003, and together we have covered 15 years of association and we are still going strong. Rodenstock is renowned for innovation, design, material and coatings and VRX partners only with the best”. Ms. Sabina Kharbanda, Regional Sales & Eyewear Product Manager, Rodenstock Asia Ltd, introduced the guests to the Rodenstock legacy, dating back to 1877, the year when it was founded by Mr. Josef Rodenstock and the following ground breaking innovations in eyewear brought in by this German brand which not only focuses improving vision but also aesthetics, which aptly resonates in its brand tag line, See Better. Look Perfect. With more than 140 years, Rodenstock brand DNA is still very much focused on understanding the system of vision in its entirety. The Platinum Line lenses were launched subsequently. Now Indian customers can avail the top-of-the-line lens products from Rodenstock which are directly manufactured in Germany and will be imported to India by Vision Rx Lab for its patrons. The wide array of products under Platinum line includes Progressive lenses powered with Eye Lens Technology such as Impression Freesign3, Impression® 2, MultigressivMylife 2 offering crystal clear visual fields at preferred choice of visual range, Impression Myop & Hyperop designed to meet the visual demands of very long-sighted and very short-sighted wearers respectively. Whereas the Single Vision category includes Impression® Mono 2, a truly individual Single Vision lens offering sharp vision to the edge with perfect aesthetics. The Platinum line also includes two new lens categories, Rodenstock Road and the sports series of lenses. Rodenstock Road offers special driving lenses which enhance road safety by offering greatest fields of vision, cutting glares and improved contrast, available in progressive design i.e. Impression Road 2 and also single vision, Impression Mono Road 2 and Impression Mono Plus Road 2. The Impression Road 2 progressive lens was tested in a user test by TUV Rheinland with regards to criteria that are crucial for safe driving: Acclimasation period, field of vision, glare, contrasts, color reproduction and cleaning. With user acceptance of 1.7, Impression Road 2 met not only the requirements for certification, but it even exceeded them ‘Sports lens’ series includes Impression Sport 2, powered with Eye Lens Technology for improved vision at shorter and intermediate distances for astigmatic prescriptions, Impression Mono Sport 2, suitable for both the dynamic vision demands in sports and as a universal single vision lens for fashionably curved frames. 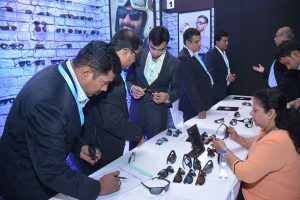 Thus with the extension of platinum line of products, the patrons of Rodenstock in India will now have access to biggest product portfolio from the German brand, allowing them to choose from a wide range of designs in progressives and single vision lenses along with innovative coatings. 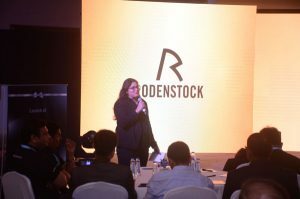 The session on Rodenstock was presided by Ms. Sulakshana Chakrabarty (Chief Manager- Business Development, Rodenstock India) who gave the overall presence of the brand in India and an overview of the new product line, while Mr. Johnnie Foo, Lens Product Manager – Rodenstock Asia Ltd, spoke on product features and conceptual selling. The new luxury Platinum Line was launched with an exclusive price list for the customers.